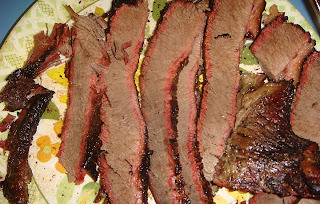 Home brisket - Home Run! The Mrs hit it out of the park last night with a dynamite brisket. 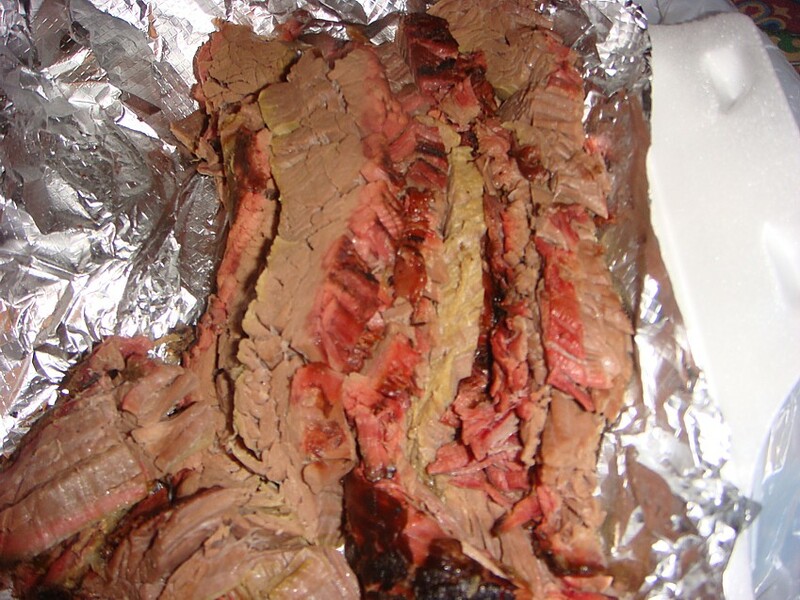 It had deep smoke flavor, was perfectly moist, and was so tender it fell apart while slicing. Unfortunately, she's taking half of it to work! Wah! Now, on to ribs! Smartass of the month WINNER! I made another stop at this joint this past week and still find it to be well above average. Both the brisket and ribs had a very nice deep smoke flavor, however the brisket was a bit dry and the ribs were a bit chewy. The brisket was so tender the slices were crumbling apart. 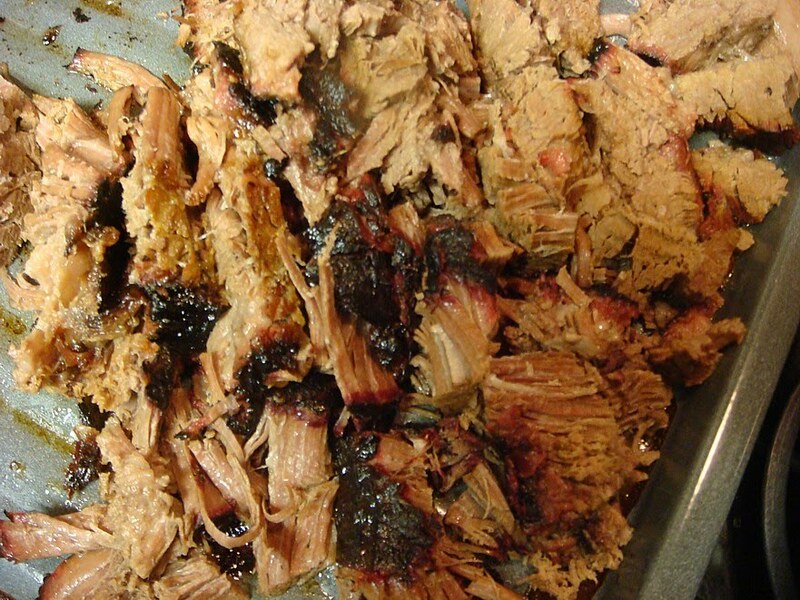 Click on the pix below for a nice close-up that will make you HUNGRY. The potato salad had a bit more mustard this time but was still nice and creamy and better than average. 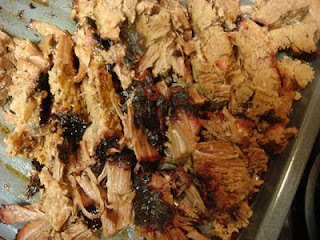 I got an extra pound of that brisket to go and it made for some dynamite sandwiches with some Dr Pepper BBQ sauce. UPDATE 3/31/10 This place has moved south of Quitman on Texas 37. I will check them out again next week. The Mrs made her third home brisket attempt today and we're closing in on the real deal. 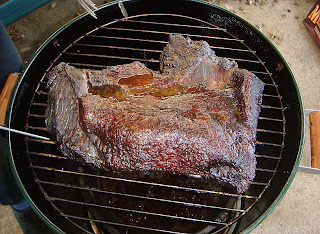 Today we used a trimmed brisket and a mix of hickory and pecan for a 5 hour smoke. 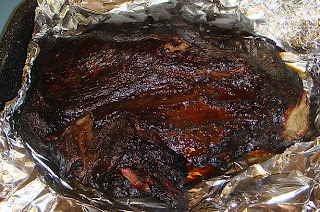 We finished with 2 1/2 hours in the oven at 250. 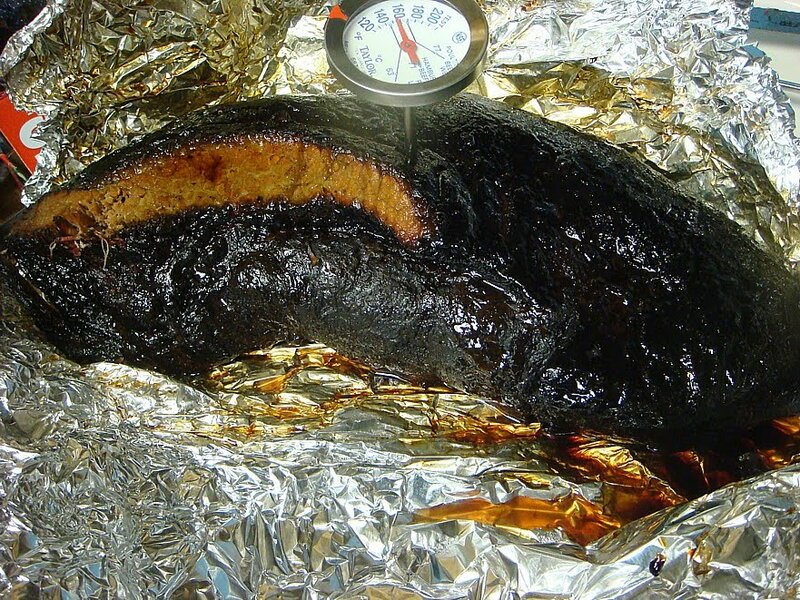 The result was a deep penetrating smoke flavor which was just about perfect. Check out the smoke ring below. 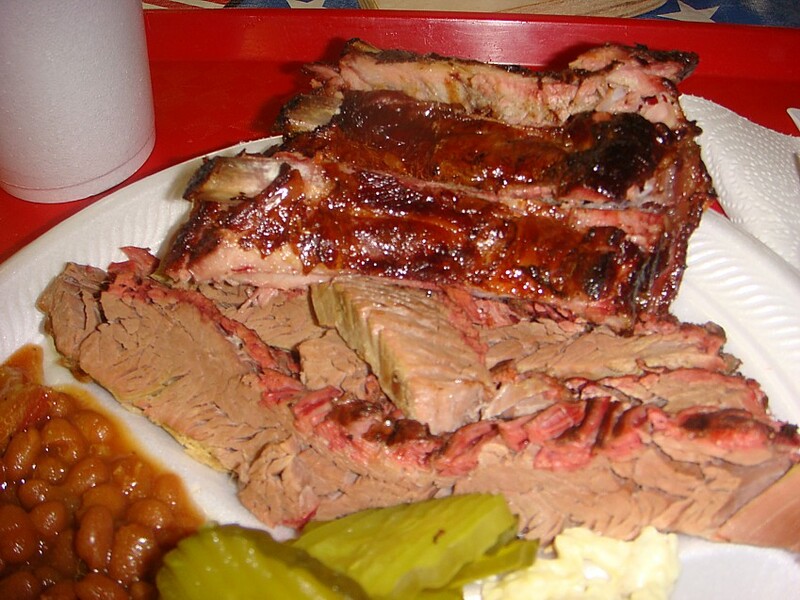 The tenderness was ok, but not quite to perfection standards. 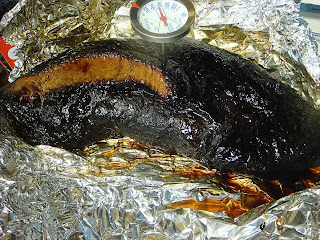 We decided it needed at least 5, maybe up to 7 additional hours in the 250 oven to get the desired tenderness. Regardless, it sure is fun eating the experiments! We're close, durned close! We shall be experimenting on ribs soon enough!